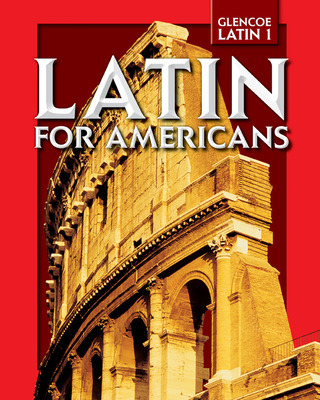 Latin for Americans introduces your students to Latin with a carefully paced and logical presentation. Vocabulary, derivatives, and grammar are explained carefully and reinforced with group and paired activities and practice assessments. Culture is brought to life with colorful photos and the Glimpses of Roman Life feature. Encourages critical thinking and creativity with group and paired activities that promote the active use of Latin. Enables students to grasp concepts more easily with a carefully paced, logical presentation of Latin structure and grammar. Helps students' English vocabulary with emphasis on derivatives. Provides students with knowledge of Rome's continuing influence on the modern world using cultural readings.